As the name applies this amplifier is designed for classic guitar tones from the 50´s to modern times. Speaker cabinet must be the most overlooked part of the electric guitar setup.It is also one of the most important as that is what produces the sound you hear. 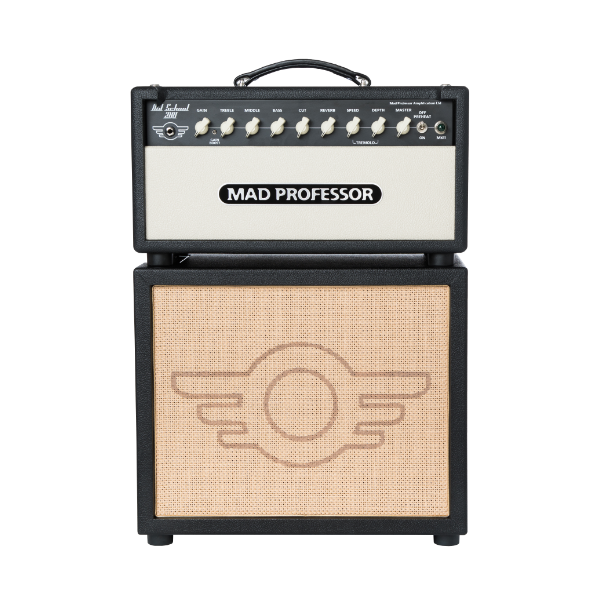 Mad Professor Amplification presents the Porter 112, a small ported cabinet with a huge voice. This new innovative super light cabinet pushes 100W of power and weighs only 25 pounds. Made with thinner plywood than normally is used in the guitar cabinets, but with similar stiffening construction that is used in the aviation industry. This sturdy little cabinet is carefully calculated and imported for the Jensen Tornado 100W Neodymium-speaker. Treble and Presence frequencies are in perfect balance with the bass frequencies like they are in a big cabinets from the 60´s that everybody loves. The natural compression of the speaker is being enabled so the design generates musical compression similar to the open back designs. Best of both worlds!